Ambassador Robin Sanders with Eziafo Okaro, Uli Woman painter in Ogidi, Anambra State. 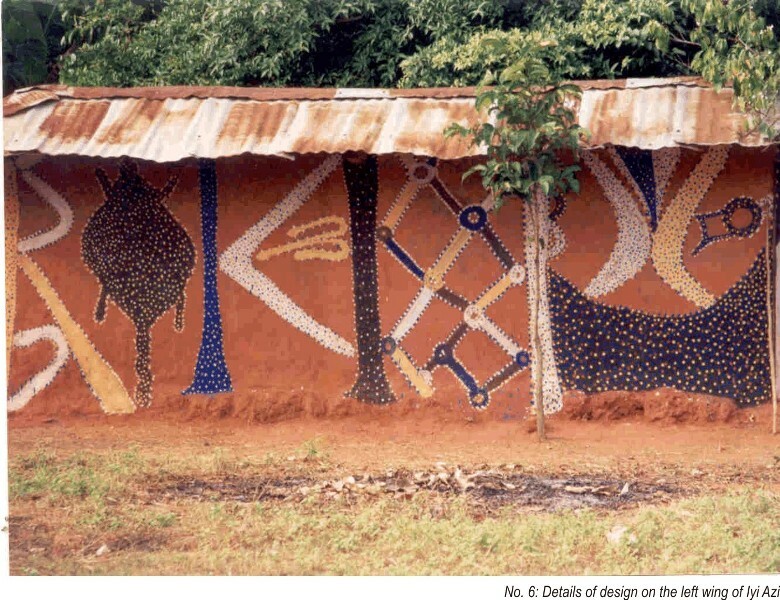 While serving as American Ambassador to Nigeria, Robin Sanders loved the art of Uli (creative decorations done on different media) by Igbo women of South-eastern Nigeria. Sanders carried out research works on Uli, a form of non-verbal communication among the people. Her appreciation of Uli made her to attend several exhibitions and workshops on Uli. Below is her piece during one of such exhibitions. ﻿What provides inspiration, passion, and that energizes you to connect to the past so that you can better understand the present? For me it is social and political expressions of the things that are important to me. 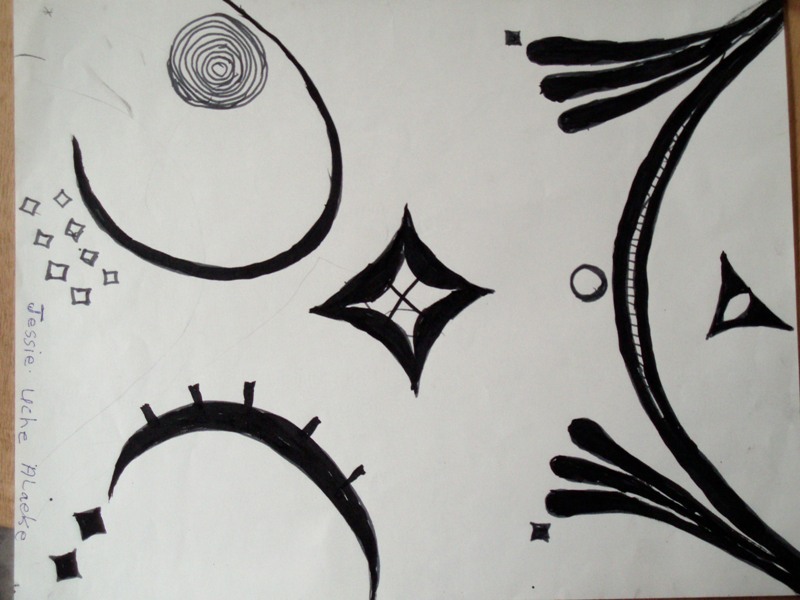 There are a number of forms in various cultures that serve for social, artistic and political expression. 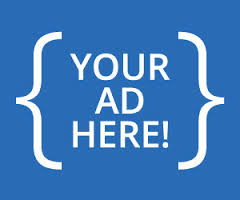 One such form for the Igbo people of Nigeria, which is a gift to the world is, Uli. I see Uli, and forms like Uli, as “communication expressions” because they highlight the social and political feelings of not only the artist, but the environment that surrounds the artist be it a village, urban setting, or ritualistic activity. The communication expression of Uli is symbolic of the theme of this exhibit because forms like Uli help us understand the past, present and future. In the case of Uli it has a place in history that should never be lost. 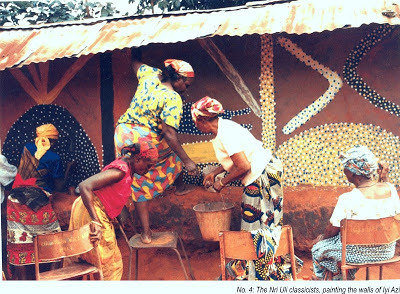 Having had the pleasure of the Uli experience as part of a ritual ceremony, as art, and as a social, historical and cultural marker in selected Igbo villages in South-eastern Nigeria as well as having worked with women who still believe and practice this communication expression, should serve an inspiration to us all to never forget cultural traditions. I had the opportunity to have conversations with legends of Uli, meaning practitioners who, for 8 decades of life or more, have held on to their commitment to continue to maintain the Uli tradition. Their fortitude underscored to me the depth of just how important it is to hold on to the traditions of your ancestors because they help identify who we are today. The message of the communication expression of Uli in its various forms is similar as a medium to many non-text, non -verbal forms of communications throughout the world, but especially in West Africa with Adrinka, Vrai, Nsibidi, Adire, and rock art of Native Americans being prime examples. Forms like Uli do communicate, whether through the medium of art or as an expression of the things important to a culture or a society. The legends or “classic” Uli women are bedrocks for all of us who have not only learned to love Uli, but their commitment should serve as an inspiration to today’s Uli practitioners -- many of whom are here at this exhibition today. These two groups of women – the classics or legends -- and today’s Uli practitioners are symbols of connections that lead us all forward to the past. It is vital to remember the past is never far from us, and if we deny its existence, value, and impact on our lives then we miss not only living honestly, but also not contributing to the future. 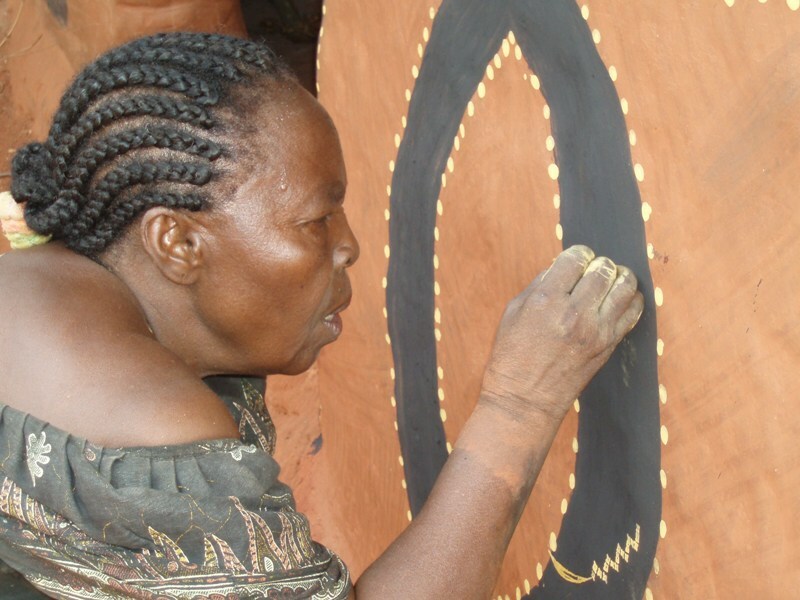 We all have the responsibility to appreciate non-text, non-verbal communication expressions like Uli whether Uli is expressed through art and other mediums because they are just as important and viable as any written form of communication. We should never forget this or let forms like Uli, which is endangered, pass on as we lose an important link between the past, present, and certainly a contribution to share with future generations.